Don’t Fear Flooding This Winter! No-one likes to think about flooding, but it’s something that we definitely can’t ignore – especially if last winter was anything to go by. 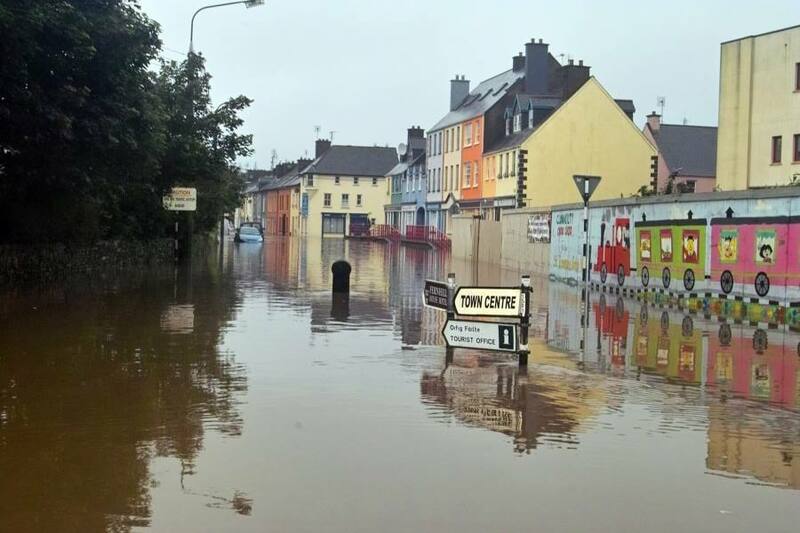 Flooding causes devastation and misery to hundreds of households in Ireland on an annual basis. Very few of us can forget last year’s winter news reports, which filled our screens with images of flooded homes across the length and breadth of the country. Granted, there is little you can do when a nearby river bursts its banks. However, if the potential flooding is more a case of torrential rain causing waterlogged gardens to produce an uncomfortable water level in the proximity of your home, then it’s a very different matter. In this type of scenario, quick thinking and being prepared months in advance could actually save you thousands of euro worth of damage. So, what exactly are we talking about? Well, one way to keep water at bay when it comes to your home turf is by using sand bags. But be warned. Don’t leave buying them to the last minute or when heavy rain is imminent, as that’s when they will become the hottest item around. Remember the heavy snows of several winters ago? The public grit bins were emptied as soon as they’d been filled by the local council. Why? Because lots of non-community-minded residents were intent on keeping their own private paths ice-free – to the detriment of communal areas. Why use sandbags and how effective are they? Sandbags are an excellent short-term measure to prevent water from seeping into your home, especially if you use them together with plastic sheeting. The latter should be placed ideally between the bags and the walls of your home. Not only can sandbags keep your home dry, but another advantage of them is that they’re not expensive and they’re pretty easy to come by. For instance, here at Chadwicks we stock two varieties of sand bag. The only downside is that they can be pretty heavy to move (which, of course, is an advantage in keeping the water out, but a disadvantage when it comes to your back). The reason they’re not a good long-term alternative is because they will allow water to seep in eventually regardless of how well they are stacked together. What if you can’t get a hold of any sandbags? Just as we warned above, if you leave purchasing them to the last minute then chances are there will be no sandbags to found. In this scenario what you can do, as an alternative is to fill empty pillow cases with dirt (or dry sand if you have it) and pile up as you would sandbags. Any sturdy sacks would do, such as hessian or even plastic bin bags (remember, it’s an emergency). Sandbags are great for blocking doors and windows (six sandbags for water measuring around 20cm deep). But what about narrow cable entryways? Here you can use silicone sealant. Look up Irishfloodbarriers.ie for more flood prevention tips and make sure you’re prepared for any unexpected and inclement weather this winter. Meanwhile you can buy your sandbags from the team here at Chadwicks.